Are you new to growing fruit trees? Then peaches might be a good place to start. These heavy bloomers put on quite the flower show in spring, followed by a tasty summer harvest. Once the blooms appear, foliage buds will break and begin to grow. 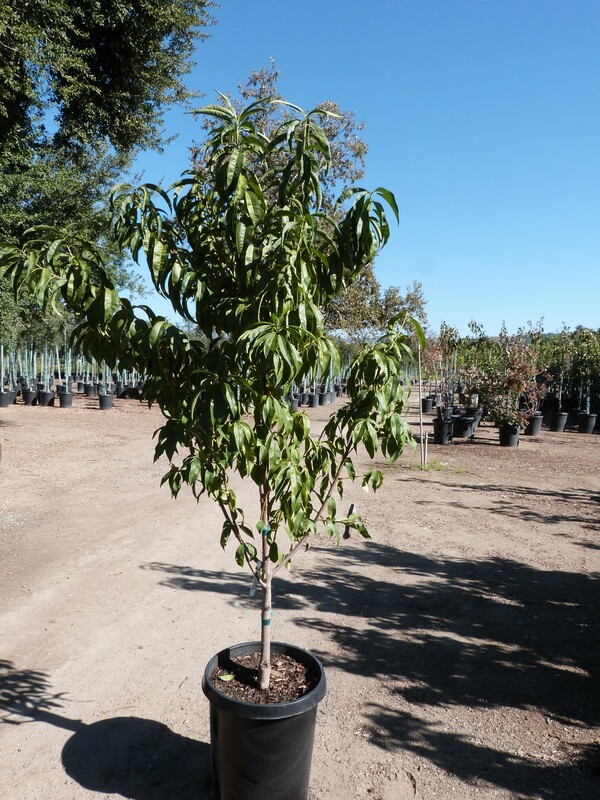 Peach trees require full sun, fertile soil with a pH around 6.5, and regular watering in order to produce good yields. It’s good to know that peaches require certain “chilling times” in order to set fruit. That means how many hours the tree is exposed to temperatures between 32 to 50°F during the cool season. Chilling times required for fruit set depend on the variety chosen, so be sure to choose a variety that will meet the chill requirements in your area. ‘Tropic Snow’, ‘SunRed’, ‘Flordaprince’ and ‘Desert Gold’, requires only 200-300 hours chill time, making them perfect for warmer climates. Note that some peach tree varieties such as ‘Dwarf Empress’, ‘Late Elberta’ and ‘Red Haven’ requires up to 850 chill time hours and are not recommended for warm climates. From small urban gardens and patio pots, to large landscapes, there is most likely a peach variety to suit your needs. ‘Bonanza’, ‘Bonfire’, ‘Dwarf Empress’ and ‘PixZee’ can all be planted in containers or small gardens since they only grow from six- to ten-feet tall. However, you can prune most peach trees to fit your space. Prune trees in winter before spring budbreak and be sure to feed in spring and in fall. Pests and diseases such as borers, aphids, Japanese beetles, leafhoppers, brown rot, powdery mildew and mosaic viruses can impact peach trees.